Dentist @ Beach regard hygienic standards at the highest level. We imported all sterilize and infection control system from Midmark Brand USA. We uses the top USA product of MIDMARK brand. 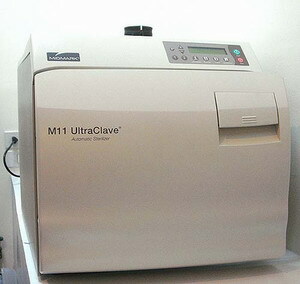 The M11 series has a self-managed micro-processed controller, ensures perfect functioning during autoclaving. The new pre-vacuumed technology ensures that the instruments are completely sterilised reliably and consistently. Thereafter, all our instruments are protectively vacuumed packaged until required. Sterile storage is an essential link in the hygiene chain. Between removal from the authoclave and their next use, sterilized items must be stored so as to be protected from contamination. The sterilization packages are specially designed for steam sterilization and protecting micro-organisms. Our impulse auto-sealer machine is used to seal instruments into the sterile storage packages before steriliaing them in an autoclave. 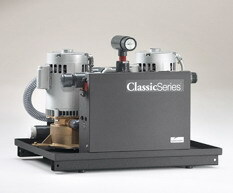 The autosealer device applies precise sealing pressure to produce optimal sealing seams. The packages are then autoclaved by our pre-vacuumed autoclave units in viewpacks for each patient and dated for reference.